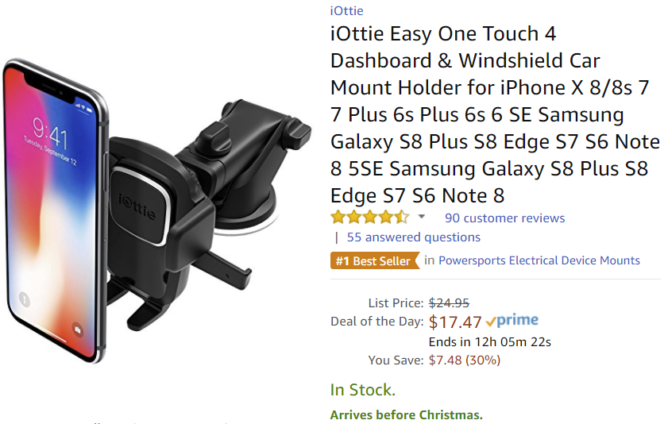 If you'd like the Caddilac-unit, iOttie's Easy One Touch Qi mount is probably your jam. As you'd figure, it supports wireless charging for Qi-compatible devices, with other nice features like an automatic closing mount and adjustable telescoping. Normally $49.95, you can grab one now for just $34.97, which is $15 off. 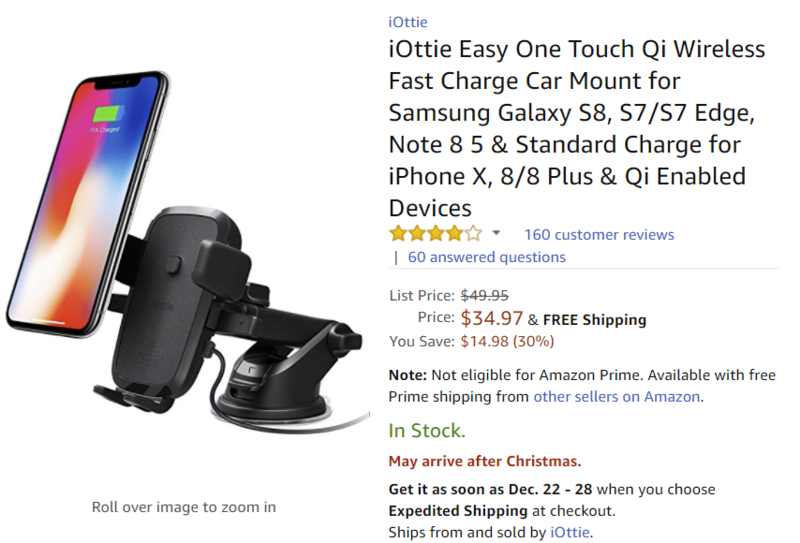 If you're not interested in Qi charging, there are three other models with different mounting methods that are also on sale. The iOttie Easy One Touch 4 is down to $17.47 from $24.95, and has most of the same features as the more expensive model, but without wireless charging. 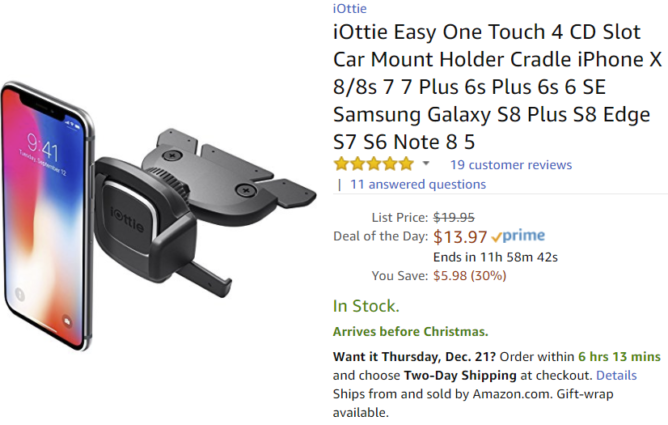 No space for a dashboard mount? iOttie also has models that rest in a CD slot or air vent, both of which are just $13.97 (originally $19.95). This deal covers a pretty broad range of potential mount locations, so whatever restrictions you might have on available space in your car, odds are that one of these should do the trick. Just be sure to grab one soon. Since they're the Deal of the Day, the promo ends in a bit under 12 hours.